It has been a long time coming but finally our new website is live and all singing and dancing! 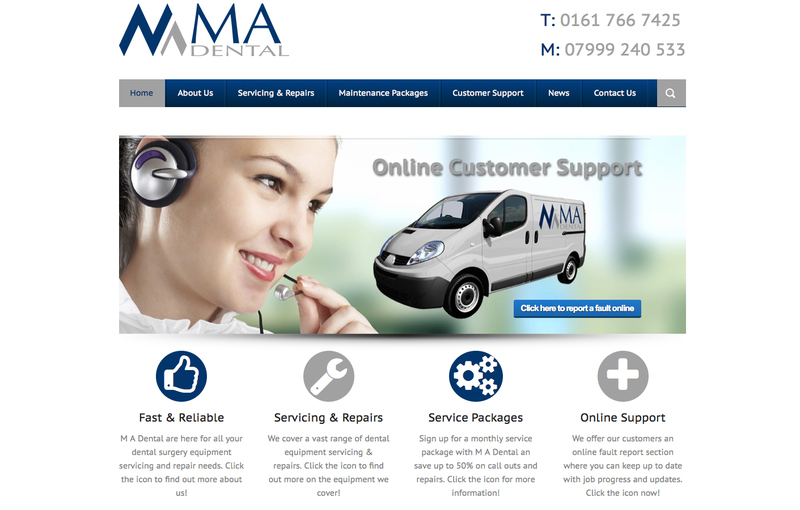 Please browse the site to discover just how M A Dental can help your dental surgery with any repairs or servicing issues. We also have a new online support section where you can log a support ticket and one of our agents will advise you and keep you up to date with your problem as it progresses. Should you have any further enquiries not covered on the website please do not hesitate to contact us!